Our social workers, including Janine Genovese, are here to help you make sense of life before, during, and after cancer. 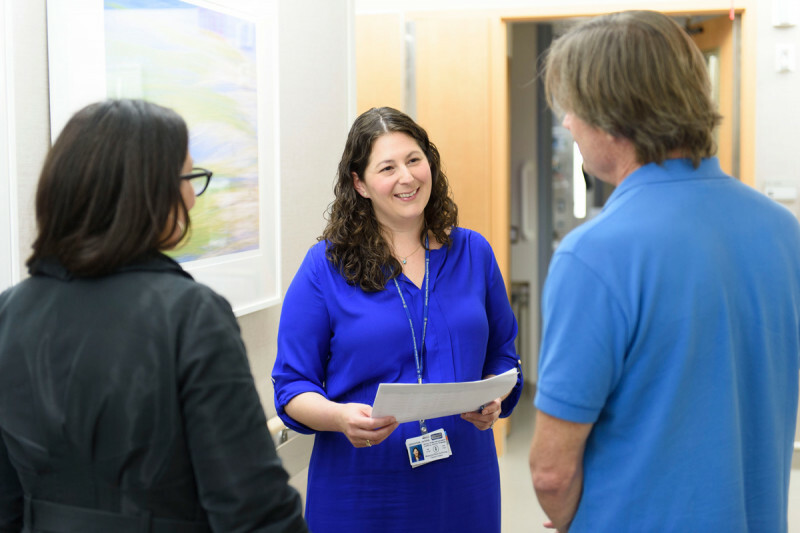 At Memorial Sloan Kettering, social workers play an important role in providing emotional support and guidance to people with cancer, as well as friends, families, and caregivers. Social workers are assigned to each patient floor of Memorial Hospital, and are also present at our regional facilities. Meet our team of social workers. What does an oncology social worker do? Social workers help to provide emotional support and guidance to people with cancer, their friends, families, and caregivers. They can also help with some of the practical aspects of having cancer, such as transportation assistance and the impact on your job. To speak with a social worker, please ask your Memorial Sloan Kettering doctor or nurse, or call the Department of Social Work directly at 212-639-7020.